Often forgotten in the annals of history, even among historians and railfans, are the majestic and impressive engineering feats carried out in building the Milwaukee Road's Pacific Coast Extension. One of these projects was the Vendome Loop, located between Butte and Three Forks, Montana in the state's southwestern corner. 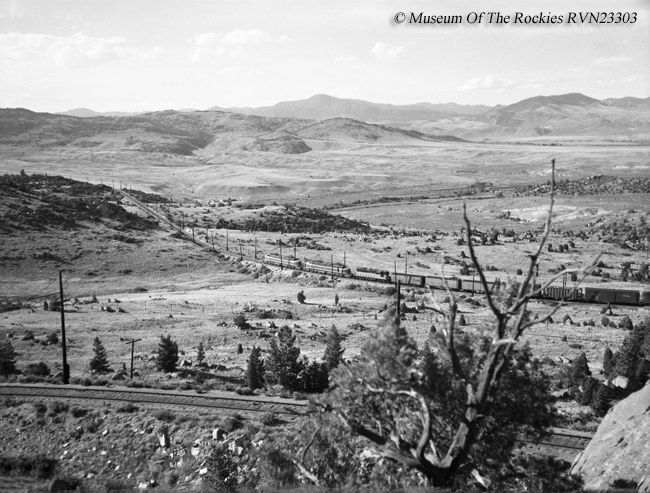 Constructed as a means of gaining elevation with the line entering the eastern edge of the Rocky Mountain's foothills (along a stretch known as the Pioneer Mountains) the loop helped the railroad to retain an overall maximum grade of 2%. The loop was an impressive engineering marvel and would no doubt attract many railfans and sightseers annually today if the route was still in operation. Few rail lines, let alone railroads, have garnered such interest, intrigue, and awe as the Chicago, Milwaukee, St. Paul & Pacific Railroad's Pacific Coast Extension, even 30 years since it was abandoned. Unfortunately, the best engineered rail line through the rugged Cascades could not save it from the inept decision making of management at the time and it is now but weeds and trails, a vital transportation artery no longer available to shippers and the American economy. In 1901 the first surveying work began and it was estimated the more than 1,400-mile western extension would cost the railroad around $45 million adding more than 25% to its total system mileage. However, four years later this number was readjusted to $60 million. What made the extension so terribly expensive was partly due to the right-of-way costs. Unlike the Great Northern and Northern Pacific the CM&StP was not given free government land grants and had to both purchase all of its land from private landowners as well as take over a number of small, new, or floundering railroads across the region. 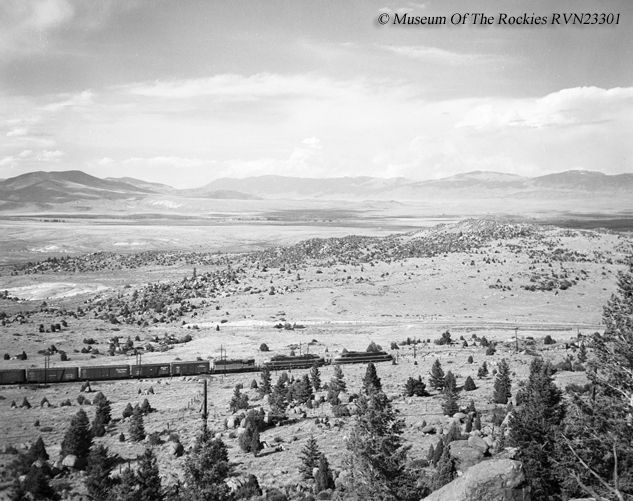 Amazingly, in just three short years the entire extension had been completed and on May 19, 1909 a Golden Spike was driven at Garrison, Montana commemorating the opening of the new route. During surveying the route, the Extension was broken down into various segments all of the way between South Dakota and Washington state to complete the line as quickly as possible. 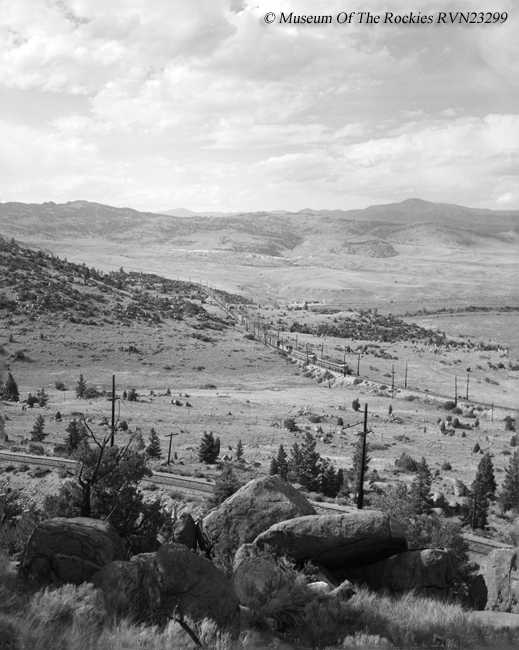 The segment within which the loop was constructed was along a stretch between Lombard and Butte, which was bisected by the Continental Divide at Pipestone Pass. Survey work on this section began in 1904 and roughly 20 miles west of Three Forks engineering and survey crews found themselves facing the Pioneer Mountains along the eastern edge of the Rockies. Up to this point west of Three Forks crews were able to survey a virtual tangent track in a southwesterly direction along the flat Jefferson River Valley. With crews already surveying and working on the line west of the Continental Divide, the survey team working on the east side of the divide decided that the best way to gain elevation into the mountains was to construct a sweeping loop hugging the mountainside as much as possible. 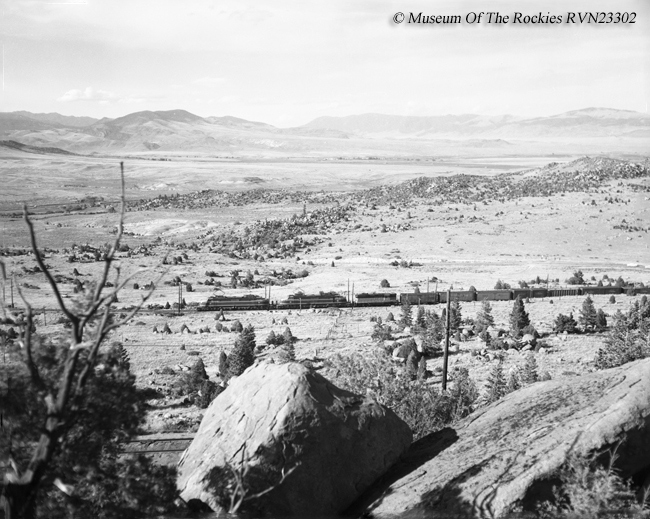 Building the loop, and grading the line in general through the Pioneer Mountains proved to be more difficult than anticipated due to the disintegrated and solid granite rock construction crews encountered when creating the cuts needed. Actual work along this segment was contracted out to the company, McIntosh Bros., which along with the grading work also constructed the bridges, culverts, and all other major work involved with the line. Overall, engineers and construction crews were able to keep the ruling grade on the eastern slope of the mountain (where the loop was located) to 2% while the western slope featured just a 1.66% grade. The loop itself was, overall, roughly three miles in length. Luckily for the Milwaukee Road, when building this segment of the line the grade was very close to the Northern Pacific's main line, enabling men, machinery, and materials to be transported on-site rather quickly. By 1908 the entire line between Three Forks and Butte, including Vendome, was open to rail traffic although it required using a tortuous temporary right-of-way over Pipestone Pass as the tunnel was not completed for another year in 1909. For more reading about the Milwaukee Road please click here. 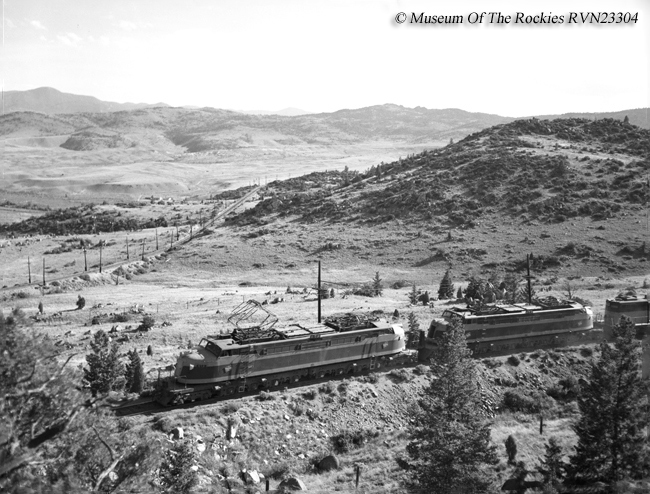 After the Milwaukee Road electrified much of its Pacific Extension a little less than ten years after the entire route was completed operations over Vendome Loop became a true sight to behold, which was further enhanced as trains became longer. 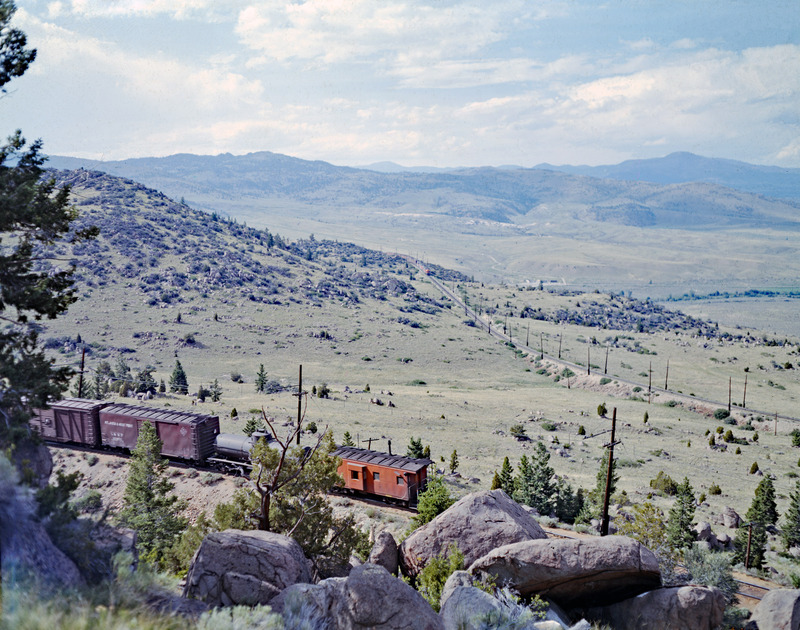 While watching trains over the loop meant gaining permission from local property owners and trekking up steep mountainsides, if one made the climb to the western segment it was sometimes possible to see the lead locomotives rounding the bend below, exiting off the mountain while the tail end of the train was still right in front of you. With the abandonment of the Pacific Extension by the Milwaukee Road in March, 1980 Vendome Loop sits quiet today, an incredible engineering marvel that is no longer in use.